TWIR9: So, what’re the odds that Region 9 crowns a champion this week? COMMENTARY — Hey. what’re the odds? To that, I answer that it won’t be easy, but the Thunder have as good a chance as anyone. That’s the thing about the loser-out bracket: someone has to win it. Fans are quick to write a postscript on the season when they hear that their team has dropped into that bracket. But time and again, I’ve seen good teams put together a win streak and blast their way through to Championship Saturday. Last season, Cedar lost to Juan Diego in pod play. But guess who was still playing on Saturday? Not Juan Diego. Nope, it was Cedar that won four straight before finally being ousted by Desert Hills that Saturday morning. So one-loss bracket teams like DH and Snow Canyon need not mourn just yet. Those teams have to get hot, but it’s not unusual for a team to put it all together and make a championship run after losing a game in the two-round pod. There is one problem for our two Region 9 teams in the elimination bracket. If they both win Thursday’s 11 a.m. games (D-Hills plays Union and Snow Canyon plays Payson), they will meet at 4:30 p.m. Thursday with one of the two heading home with a loss. With Desert Hills having swept Snow Canyon in two games this season, the question could be asked: What’re the odds that the Warriors pull the upset in that one? 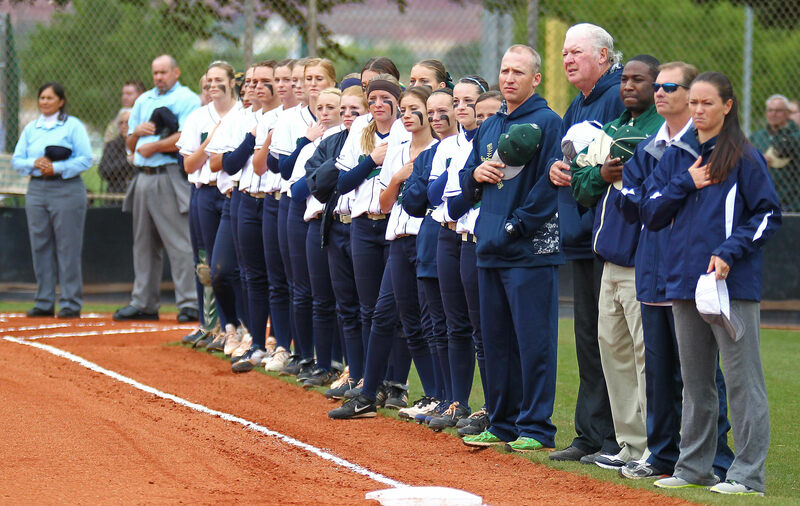 The Thunder won the two region games against the Warriors by scores of 7-4 and 9-7. D-Hills finished 9-3 in region and Snow Canyon was 7-5, so those two games were the precise reason the Thunder tied for the region title and the Warriors were the No. 4-seed. Well, sort of. One of the interesting quarks of region play this year was the quality of the top six teams. Anybody could, and did, beat anyone else. Snow Canyon opened region play by sweeping eventual top seed Pine View. Desert Hills ended region play by getting swept by those same Panthers. In between, D-Hills beat just about everyone else, though the Thunder dropped a game to sixth-place Dixie. The Warriors, meanwhile, had some struggles after their 2-0 start, losing a game to Canyon View and getting swept by Cedar. With the sweep by DH, SC was looking at a 3-5 region record. But the Warriors got hot and finished 7-5. And then both teams lost a game in their pods, which leaves them where they are now — win or go home. The Thunder should handle Union in their 11 a.m. game Thursday, which will be played at Dixie High. 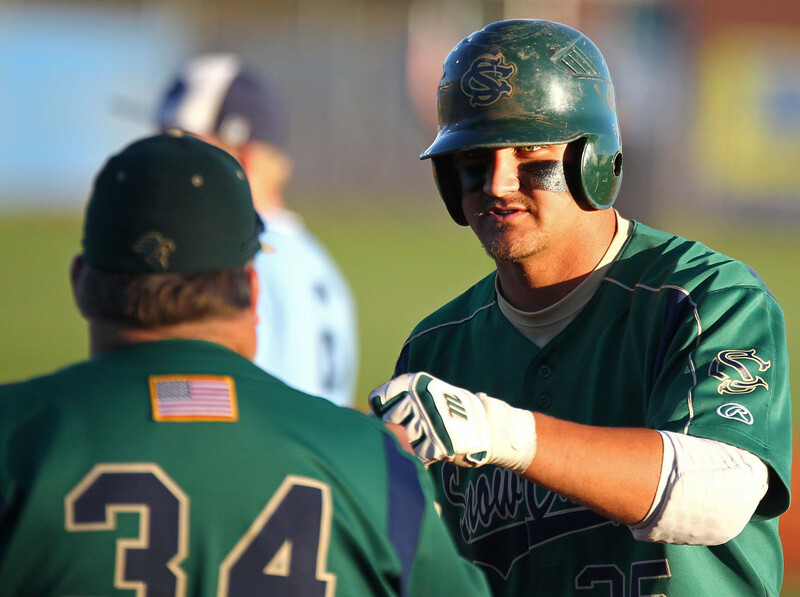 Snow Canyon has a tougher elimination game, taking on Payson, which is 18-7 and won Region 12. The Lions lost a 14-13 shootout last Saturday to Cedar. So, can Snow Canyon win that game vs. D-Hills? If the Warriors get past Payson, of course they can. 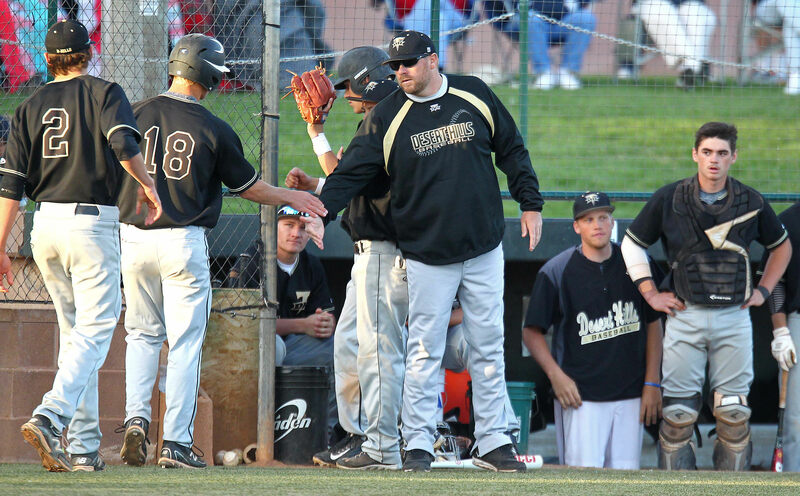 As good as Desert Hills has been this season, they have actually lost three of their last four. Glancing at the past few years, it’s easy to see that both these teams know how to win in the postseason. The truth is, it will probably be a classic game between two old rivals and a game that I won’t miss. Of course, the no-loss part of the bracket is where all teams want to be, but only four made it. Pine View plays Carbon at 11 a.m. Thursday at Dixie State’s Hurst Field, with Cedar battling Bear River at 1:30 p.m. on the same field. The Panthers were the only team on Saturday to have an actual home pod, and even that was bothered by rainstorms. But PV looked really good and the Region 9 top seed dominated in 11-1 and 7-0 wins over Union and Juab. Carbon, on the other hand, is a bit of a party crasher. The Dinos, who have been 10-runned three times this year, came into the playoffs with a 10-10 record. They beat Grantsville (no surprise) and then No. 1-seed Park City (big surprise). So what’re the odds Carbon can beat Pine View? Not very good. The Dinos actually have pretty good pitching and they have won six games in a row. But the Panthers pitching is on fire. 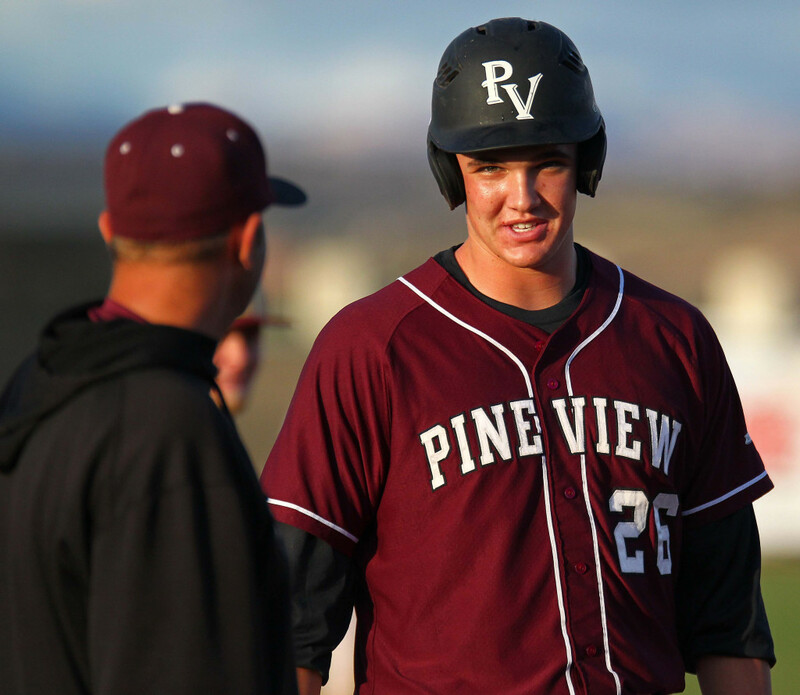 The 1-2 punch of Dakota Donovan and Harrison Goebel make Pine View formidable. If PV can stay in the no-loss bracket, the Panthers wouldn’t have to use anyone else, either (one game Thursday, one game Friday and one game Saturday). Sure, it’s possible Carbon pulls off an upset and sends Pine View to the other bracket, but the odds aren’t good on that one. As for the other winner’s bracket game, Cedar and Bear River should have a heck of a battle. What’re the odds the third-seeded Redmen beat the Bears? That’s a tough one. One thing Bear River has to deal with is how to set up its pitching staff after using seven innings against Desert Hills Monday. UHSAA rules allow just 14 innings per pitcher in a calender week. So do the Bears throw ace Nate Dahle against Cedar and risk not being able to use him the rest of the week? Good question, but you can bet Cedar will throw ace Brecken Lewis, who had a one-hit shutout vs. Uintah last Saturday. The bottom line with the 3A baseball tournament is that Region 9 still has four teams alive and two of those in the winner’s bracket. And I’d say the odds are pretty good that one or more of those four teams will be playing for a championship Saturday. Pine View (16-8) vs. Carbon (12-10), 11 a.m.
Cedar (20-5) vs. Bear River (16-9), 1:30 p.m.
PV-Carbon winner vs. Cedar-BR winner, 4:30 p.m.
PV-Carbon loser vs. tbd, 11 a.m.
Cedar-BR loser vs. tbd, 1:30 p.m. If necessary game, 2:30 p.m.
* Note: SportsRadio ESPN 106.1 FM will be broadcasting the Panthers, Thunder and Warriors in the state tournament, though the first round games are simultaneous. ESPN Radio will present a combo-triplecast at 11 a.m. Thursday with play-by-play from portions of all three games involving those three teams. All other games will be broadcast in their entirety. KSUB AM-590 will be broadcasting Cedar Redmen games. Snow Canyon and Canyon View, Region 9’s top two seeds, got first-round wins in the 3A State Tournament. The wins were not surprising, but now things get real serious as the two will face top teams from the softball-dominant Region 11. 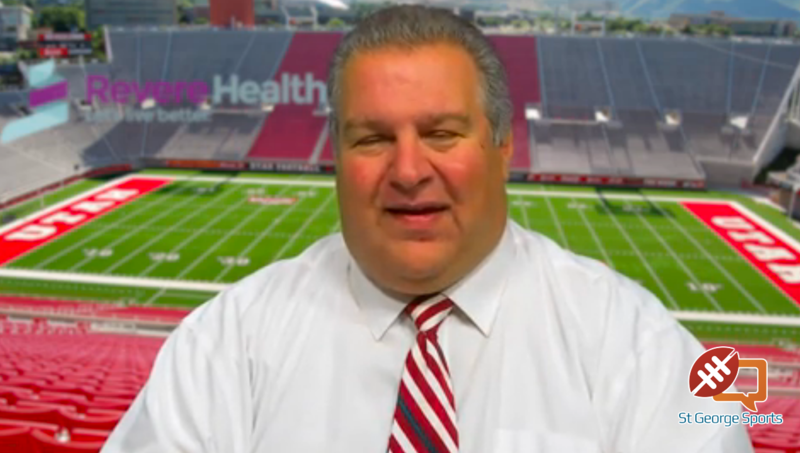 The Warriors battle Stansbury at 2 p.m. Thursday. SHS is 22-4 on the season and is the two-time defending state champion. This season, the Stallions finished second in that region to Grantsville, but have beaten just about everyone else when ace Kimbri Herring is in the circle. She’s 19-3 and slugger Anjalee Batchelor has 23 extra-base hits, including seven homers. SC counters with Heather Prestwich in the circle. She has an equally impressive record, with slugger Shelbee Hutchings compiling 10 home runs this year. If the Warriors can beat the defending champs, they will take the rest of the day off and get ready for a 10 a.m. game Friday against the winner of No. 1-ranked Uintah and Bear River. A loss would send SC to the elimination bracket to face Union at 4 p.m. All games are at the Little Valley softball complex. Canyon View will battle the one team to beat out Stansbury in Region 11, Grantsville. The Lady Cowboys (Cowgirls?) have won 11 in a row, including a 12-5 win over Snow Canyon. Grantsville averages 9.9 runs per game, while surrendering just 2.9 a game. Needless to say, the Falcons have their work cut out for them. If CV can upset GHS, the Falcons would rest until a 10 a.m. Friday game against the winner of Juan Diego and Juab. If Canyon View loses, it would face Carbon at 4 p.m. Thursday in an elimination game. Snow Canyon (17-4) vs. Stansbury (22-4), 2 p.m.
Uintah (25-3) vs. Bear River (19-6), 2 p.m.
Juan Diego (14-12) vs. Juab (21-3), 2 p.m.
Canyon View (11-12) vs. Grantsville (22-3), 2 p.m.
Union (8-18) vs. SC-Stansbury loser, 4 p.m.
Tooele (15-10) vs. Uintah-BR loser, 4 p.m.
Payson (20-8) vs. JD-Juab loser, 4 p.m. Carbon (19-7) vs. CV-Grantsville loser, 4 p.m. Winners games at 10 a.m. and 4 p.m.
Loser-out games at 10 a.m., 12:15 p.m. and 4 p.m. If necessary game, approximately 2:15 p.m.
There’s a little bit of madness at BYU track and field venue Robison Stadium this weekend. Having covered it many times, I can tell you that hosting all five classifications for the Utah State Track and Field Championships can be a bit of a madhouse. BYU handles it pretty well, but that’s a lot of events and a lot of student-athletes trying to do their thing. Desert Hills is the defending champion in 3A boys and the Thunder were dominant at the Region 9 meet last week at Dixie High. 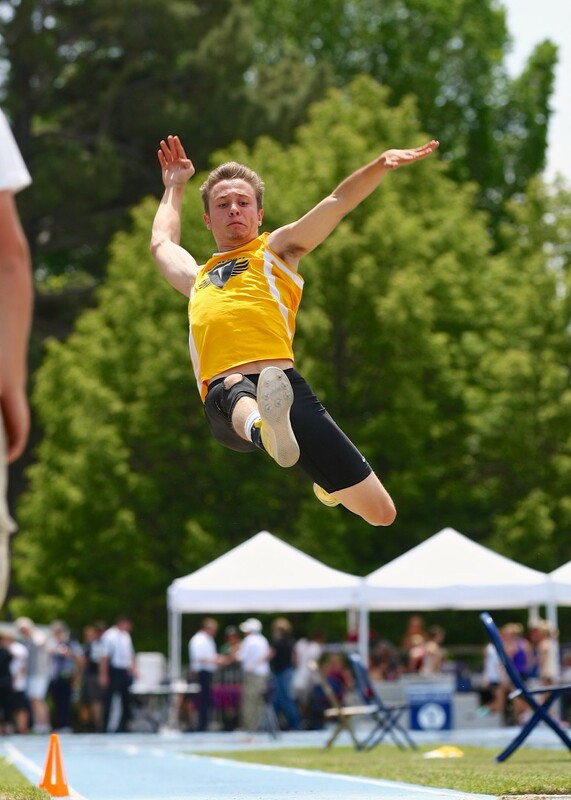 Coach Dace Goulding told me he likes his team’s chances at state as well, with stars like Chandler Swaney (defending high jump and long jump gold medalist from last year), Caleb Whitney and Joshua Thatcher. DH will have to perform up to par, but is definitely the favorite going in. The girls side is more wide open, with Region 9 champ Cedar and runner-up Desert Hills both expected to contend for the state crown. Park City (last year’s champ), Morgan and Bear River will also factor in the girls championship. AJ Griffin will be covering the event for St. George News, which begins at 8 a.m. Friday with the girls 1600-meters and concludes Saturday at 6:55 p.m. with the boys 4×400 sprint relay. Prior to last weekend’s 3A State tennis Tournament, if anyone says they saw Snow Canyon emerging as the state champs in 3A, they would have been called a bold-faced liar. 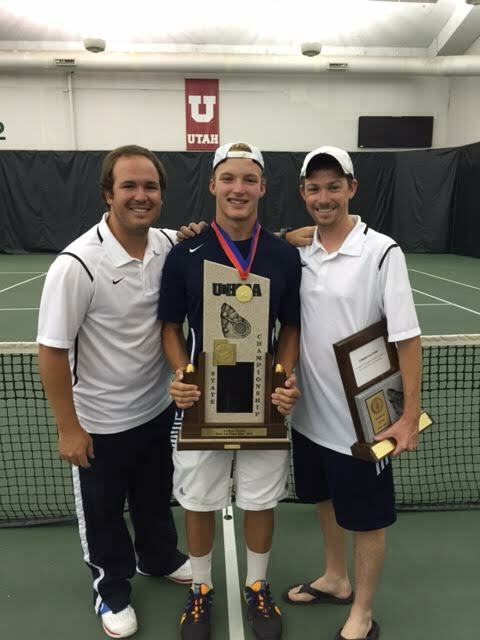 But the Warriors did it, capturing the first boys state tennis title in school history. So how did they do it? The bottom line is that SC was very good in every slot, taking second place (and grabbing four valuable team points) in first singles (sophomore Matt Morgan), first doubles (Devin Radmall and Nick Csere) and second doubles (Jonathan Morgan and Trevor Muse). Michael Russell made it to the third singles semifinals, earning the Warriors two more team points. And then there was Will Benson. The region champ at second singles added state champion to his resume by not dropping a single set on the way to the title. Just a junior, Benson was smooth all the way through, only losing seven games in eight sets at the state tourney in Salt Lake City. It was an upset for Snow Canyon to win the team title, but the way Benson played, it was no upset that he is the state champ. 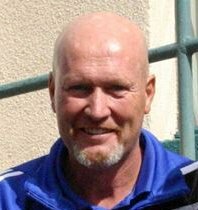 I’m not trying to canonize the guy, but Burt Myers proved once again that when it comes to coaching soccer, there is no one better in the state of Utah. Myers and his Flyers boys team won their third title in four years with a 3-0 victory over rival Pine View up at Rio Tinto Stadium Saturday. He’s also taken the Dixie girls team to multiple titles. Plus, he’s a heckuva nice guy, to boot.